Videoslots seeks to create entertainment with the aim of appealing to customers through technical excellence, great customer service and industry-leading innovation. The casino has already hit award-winning heights, including winning the Casinomeister awards for Best New Casino 2014, Best Gaming Experience 2015 and Best Casino 2015. The casino is owned by parent company Panda Media Ltd in Malta and offers players the unique experience of touring the Maltese office, maintaining an open relationship between the casino and the players. Established in 2011 by a group of Swedish casino fanatics, Videoslots quickly became a globally recognised and respected brand, seeking constant improvement on its site. This improvement is easily demonstrated by the vast number of games available, with the casino offering over 1,500 games for all players to enjoy. Game quality is also paramount to Videoslots, as is evident by the number of industry leading software providers included on the website, including NetEnt, Microgaming and Playtech. The clue is in the name! 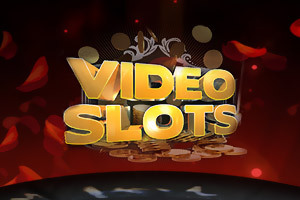 With over 1,500 games on the website and no downloadable software required, Videoslots Casino has a huge selection of bonus video slots for players to choose from. Thunderstruck II is produced by Microgaming, or there’s Dr Magoo’s Adventure from BetSoft 3D for players to enjoy. It’s not all about the slots though, as Videoslots also offers traditional table games, such as Blackjack, six different versions of Roulette and Poker. If this isn’t enough to wet your appetite, players can also enjoy the Live Casino, offering traditional games alongside live dealers via streaming. As mentioned above, using a variety of leading casino software providers ensures that Videoslots have not just a vast quantity but also a high quality of games. The ability to play via the website rather than having to download a package is also advantageous, as players can access the games quickly. Videoslots rewards new players richly. New members can receive various bonuses upon joining, like a 100% deposit up to €200, €10 free cash or a €10 bonus separately with a 2x play-through. The casino also heavily promotes their slots, running monthly slot races with players competing for a prize pool with the rewards, wager-free. Similar to most online casinos, Videoslots allows players to pay through a variety of methods, including MasterCard, Visa, Skrill and NETELLER. The casino has an implemented SSL encryption into their network, ensuring that personal information is obscured, protecting players’ from online threats. The casino games are also regulated monthly to ensure fairness and randomness. Videoslots’ Customer Service team can be reached throughout the day via a number of different methods. Live chat is the most responsive method of communication. Players can also fill out a call-back form or send an email with a maximum reply time of 12 hours.